Olympic 800 meter runner Kate Grace has joined Jerry Schumacher's Bowerman Track Club in Portland, Oregon. The middle distance star confirmed the news with FloTrack on Tuesday. "I'm thrilled to have the opportunity to work with BTC, and I'm looking forward to the base phase grind," Grace said. 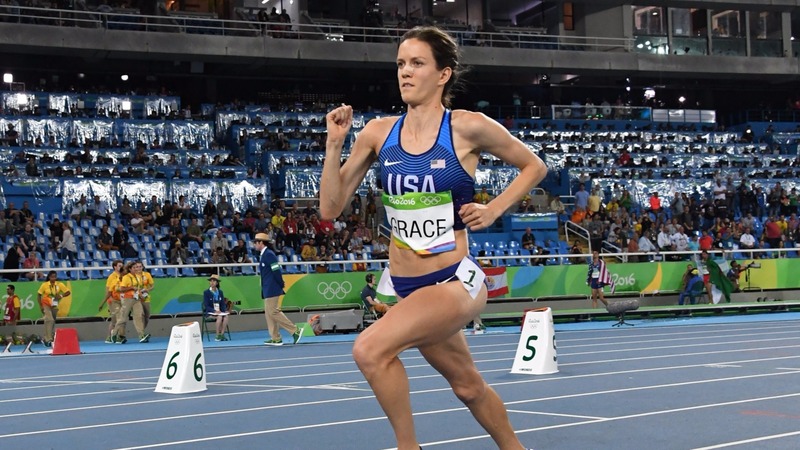 Grace joins the Bowerman Track Club after a season which included a runner-up finish in the 1500m at the USATF outdoor championships, where she earned a spot on the Team USA world championship team. She went on to place 11th in the semifinal at the IAAF World Championships in London. Prior to USAs, Grace clocked a personal best of 4:03 when she finished seventh in the Prefontaine 1500m. Grace moved to Portland in August after training with the NorCal Distance Project in Sacramento, California, for two years. She joins a talented group in Portland that includes Olympic finalists Shalane Flanagan, Amy Cragg, Courtney Frerichs, Emily Infeld, Colleen Quigley, and Shelby Houlihan. Grace executed a breakthrough 2016 season when she won the Olympic Trials 800m final in a then-personal best of 1:59.10. The performance marked the first time Grace earned a spot on the Olympic team. She made her first Olympic final after running another PR of 1:58.79 in the semifinal. She placed eighth in the Rio final. The thrilling season ended with another personal best of 1:58.28 at the Diamond League meeting in Zurich. Grace focused on the 1500m this year and made her second international team, a sign of her impressive range. By joining Bowerman, Grace can look forward to training with several stars in a wide range of event specialties. She will likely train with speedsters Frerichs, Houlihan, and Quigley. Frerichs just earned a silver medal in the steeplechase at the IAAF World Championships in London. Houlihan recently competed in the 5K final and boasts stellar middle distance speed. And Quigley just clocked a 1500m PR of 4:03 and a steeplechase best of 9:15.